Puppy Training Camp at Endless Mt. Get a Free Personalized Pet Wellness Assessment! Will My Dog Go to Heaven? Many ask me, will my dog go to heaven? Dogs are not called “man’s best friend” for no reason, consider how attached some of us get to these wonderful creatures…they cuddle, they know when we are sick, they save us from life-threatening danger and diseases, they assist us in everyday living, they babysit our children…really, I think they are one of God’s coolest creations! Since I was a child I have been drawn to and intrigued by dogs. My mom would not let us own pets, so I went from door to door in my neighborhood offering to walk everyone’s dog! I guess you can guess that I was a “true” animal person…no one taught me this, it was just in my blood. When I purchased my first dog, I was smitten. I attached to her like nothing I ever thought I could. You could say my husband was quite jealous! I want to open myself to you and share with you some things that are very close to my heart…if you do not wish to get to know me better, please, exit out of this page…but if you don’t mind “entering in” to this page with an open mind…I think you will enjoy it…bookmark this page and come back to it if you can’t read it all in one sitting! I’ve been reading the Bible since I was just a small child. I love to learn, I love to study, I love to know the TRUTH…I absolutely HATE it when I can’t figure something out…its part of my personality (my husband says it drives him crazy!) But it is that DRIVE that leads me to try to find answers to life’s most difficult questions…I won’t bore you with them all…but this particular one is appropriate to cover on this particular website. I’m always puzzled by those who don’t see a supernatural creator at the core of living things…all you have to do is watch the wonder of the process of birth to see the complexity with which everything functions. To think how a couple cells replicate to form all the complex organs in just the right place to form a living creature… To watch how, by nature, a mother dog knows exactly what to do with her pups when they are born, exactly when they are ready to be weaned, and exactly which one is which, by scent alone…isn’t it amazing? Now, I want you to know, from the get-go, that I won’t claim to have all the right answers, only God knows if our pets will truly go to heaven, but I hope that I can make you think about things you have never thought of before…and trust me, I won’t get “flakey, bizarre “on you. Since we are made in the “image of God”, we feel sorrow, along with many other emotions that He feels…and I think that when we grieve over the loss of a beloved pet, it reflects the tenderness and sensitivity that God put in every one of us. I remember being shocked at how INTENSELY I grieved over the loss of my dogs. I went through the same grieving process that I recall going through when my father was tragically killed in a commercial airline crash in 1985. Shocked they were really gone, wondering if they’d waltz in the door any minute and it was all just a bad dream…finding little reminders around the house that would launch me into tears. Interestingly, although I hate to admit it, I was reminded of ONLY good memories regarding the pets I lost. In contrast, when losing my father, I was also plagued with “regret” and heartaches in that relationship, in addition to the tragic loss. I truly believe that part of God’s “being” and “character” are reflected in his creation of animals (just like us humans)…and I sometimes wonder if he did not save some of his better characteristics for the animals! In addition, I think the love they show us reflect some sense of the love of God. You know…they were not the ones to “screw stuff up” in the Fall…they were innocent recipients of the backlash of sin entering the world. I sort of feel like they got the ‘raw end of the deal,” by none of their own doing. My comfort comes from believing that one day, as the Bible says, “many of those who sleep in the dust of the earth shall awake…”(Daniel 12:2) If God has the supernatural power to raise himself and us from the dead, then surely he has the power to raise our beloved pets as well! In Romans 8:19-23, it tells us that Jesus Christ will return to earth, and “the creature itself will also be delivered…” There seems to be hope that animals will participate in the deliverance, one day, from this fallen earth. So I ask myself, with the concern and care God has for his creatures, is there not a possibility that they are included in the blessings God gives us, and the promise of a “new earth”, and “restoration”??? I mean, they didn’t need “saving” from sin, that was OUR problem…they certainly seem to deserve heaven even more than us…and could it be that they could be in heaven with us someday too??? Again, if God wants to do it, he could…the possibility surely is there. One of the greatest miracles of all occurred over 2,000 years ago with God placed himself into the cells of the body of a girl named Mary. Jesus (God in the form of man) lived, suffered, loved, died, and rose from the dead. If God is that powerful, can he not also work the miracle of raising our little pets from the dead someday? Some may ask, “if God cares so much for His creatures…why did he have the Jews slit their throats in sacrifices?? ?” The Bible tells us that the “wages of sin is death, but the gift of God is eternal life in Christ Jesus our Lord” (Romans 6:23) Isn’t it interesting that God chose to demonstrate the way of salvation through the death of the animals? Imagine the grief of the poor Jewish family who raised many cute little innocent lambs, only to send the most perfect one to the Temple for a sacrifice as God told them to do, demonstrating how blood must be shed to cover sins. Imagine the tears of the little children. Of course, the little lamb does not have a clue what is going to happen, he trustingly follows his owner to the temple…then after a prayer is made over the lamb…a swift slash of the throat and its over…I think sin is a real serious thing in God’s eyes…and thank GOD, he later sent another “Lamb” (of God) to take the place of these poor innocent creatures, and instead, he took upon himself, the sins of the world. Never again would the “creatures” have to die again for our sins. “All we like sheep have gone astray, we have turned, every one, to his own way, And the Lord has laid on Him the sin of us all” (Isaiah 53:6) The perfect sacrificial lamb came in the form of Jesus Christ. God must have supernaturally created that special bond between man and the animals, otherwise, why would the dying of these animals be a “sacrifice” for the Jews?? If it had not created such sorrow, they would not have realized the gravity of their sin. This act must have had such a huge impact on the people, wanting them to turn away from their sins…to prevent such sorrow. Jesus was the FINAL sacrifice. As hard as it may be when we have to make that horrible choice to “put to sleep” (euthanize) a beloved pet, it must have been so hard for God to send his only Son to go to earth to experience such a death. But he cared SO much, that he did it. He died so we could LIVE. He also rescued the “creatures”…and I believe they are so special to Him (after us) that He surely may allow them into heaven, after all, and He includes them in his “restoration of the earth”. How should we respond to the Love of a God with a heart this big?? 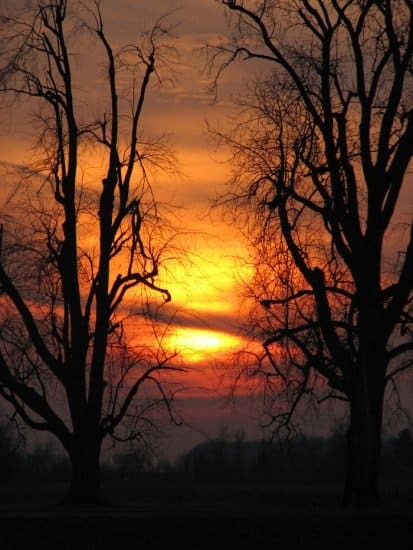 God knows what it is like to lose a loved one, so he can certainly understand your grief, right now, that you may be feeling, no matter where it is in life that this article finds you. Jesus lived 33 years on this earth, long enough to have experienced just about all he possibly could to understand us human beings. I take comfort in that…he can RELATE to us, He wants a relationship with us, otherwise why would He bother coming to earth in flesh, as Jesus Christ? Boy, I’m sure it was a real contrast to heaven…but he did it for US. Forget all of your “hang-ups” about religion…don’t cut off your nose to spite your face (so to speak). Some say, if God is not real, then you have nothing to lose when you die. If He IS real, then you have everything to lose if you don’t believe in Him and acknowledge his sacrifice for us. Don’t blame God for the bad example people set in this world, that is THEIR doing, not his. Don’t let THEM keep you out of heaven either…that would be stupid. God’s Holy Spirit is drawing you right now…its no mistake that you read this article…this was a divine appointment…take the hint. Give your life to God right now. He wants to heal you, and give you a shoulder to lean on. Life can be tough. I don’t know how people can do it without God. Call me if you need someone to pray with you. I am here. 570-549-6700. I’d also like to know if you have given your life to God. The Bible says that when “one sinner repents”, the angels rejoice in Heaven (Luke 15:10)…and I want to join the PARTY!! I hope to see you in God’s eternal Kingdom, and let’s check out that tame lion together, huh?…I’ll “pet” that one on the head! This article was inspired by reading the book called “Will my Pet go to heaven?” by Steve Wohlberg. You can order it on www.amazon.com if you would like to read more on this subject…I have only scratched the surface. God Bless You. “…You know – I have to say that I have had that experience many times as I have watched my labs crashing into the water or looking at me with that “lab look” —- loving life 100% full up. I have felt it in the presence of these creatures who were taking such joy in who they were — doing whole-heartedly exactly what they were created to do without guile, jealousy, double-mindedness, rebelliousness or incompleteness. Seeing this was like observing an act of worship. could write a letter to God so that when Abbey got to heaven, God would recognize her. I told her that I thought we could so she dictated these words. We put the letter in an envelope with a picture of Abbey and Meredith and addressed it to God/Heaven. We put our return address on it. Then Meredith pasted several stamps on the front of the envelope because she said it would take lots of stamps to get the letter all the way to heaven. That afternoon she dropped it into the letter box at the post office. A few days later, she asked if God had gotten the letter yet. I told her that I thought He had. Abbey arrived safely in heaven. Having the picture was a big help. I recognized Abbey right away. Abbey isn’t sick anymore. Her spirit is here with me just like it stays in your heart. Abbey loved being your dog. Since we don’t need our bodies in heaven, I don’t have any pockets to keep your picture in, so I am sending it back to you in this little book for you to keep and have something to remember Abbey by. Thank you for the beautiful letter and thank your mother for helping you write it and sending it to me. What a wonderful mother you have. I picked her especially for you. I send my blessings every day and remember that I love you very much. By the way, I am wherever there is love. What Really Goes Into Breeding My Labrador? I too know. i lost my beloved mutt charlie when she was 17. got my dream dog a yellow lab honey and am blessed to see her in her upcoming 9th year. i hope to have her for a long time. It took me a long time to read this. Long after my Ozzy died and quite some time after you blessed us with our handsome and incredible Maxx. I never thought it would be possible to love another dog as much as I loved Ozzy, he truly was my “heart dog”, it has been an amazing and incredible surprise to have my heart grow. To love again is the most wonderful experience and I am eternally greatful to you, Donna, to have entrusted me with the most wonderful creature. Without a doubt Maxx has healed my heart and I am eternally indebted to you. Thanks so much for this. We lost our lab / retriever mix about a year and a half ago and now our chocolate is having a hard time getting around now. It hurts so much when they go away that we have contemplated not getting another. Last time it lasted 3 weeks, I don’t think it will last that long this time. We finally realize how much we love them. By the way, good to meet a fellow believer in Christ. Might not get to see you here but will certainly see you there. Jusy got through reading this ; deeply moving story. I think any of us who have loved and lost our beloved dog struggle with the heartache . I cried the entire time I read this, and thinking of my lab , Snook, who we lost to cancer when he was only 4. Every time I think of him I cry. It took me over a year before I could even think of getting another dog and I struggled because it hurts to much when they are gone. I want to thank you for such an incredible story…I loved it and I too cried.To love a dog and lose them is so heart wrenching,and you feel your heart will never heal.But reading stories like this sure do help shed some light on our grief. Coming across your ad in the Binghamton press, decided to check out your website. 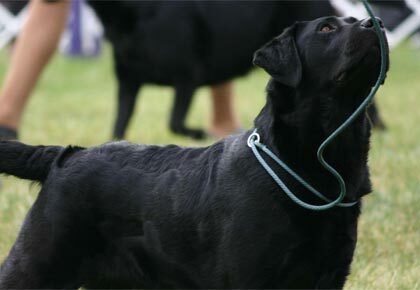 It reminded me so much of our beloved Bear, who was an English Black Lab. We were lucky enough to have him until just two months shy of his 15th birthday, but had to put him to sleep in October 2011. We got him as a 10 month old pup, so adorable, sweet, and full of energy and testosterone! We bred him 3 times, all at the request of owners of females who were quite impressed with Bear’s looks, but mostly his awesome temperament. He had a very big, blocky head, true to the English quality. Truly, D-O-G is G-O-D spelled backwards! 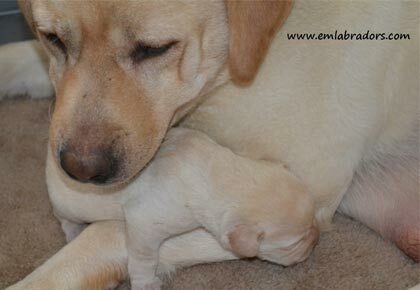 We took a yellow female pup from Bear’s 3rd litter, who will be 8 yrs. old in March, named Birdie. She is also very sweet, smart, lively and loving. Your website is great! After reading your article, and wiping away all these tears, I wanted to say “thank you”. Thank you for being such a caring person. It’s not every day that you come across someone who shows the amount of empathy that you have done. I to have been on the losing end. My Holly was an English Chocolate Lab, which I had the pleasure of loving since she was 6 weeks old. She was with me through EVERYTHING. She was the second “mother” to my children. She was truly a blessing that god allowed me to have for six very short years. There is not one single day that goes by where she does not cross my mind, and I know she is waiting at the gates of heaven, with her softball, just waiting for me. Once again thank you for this article!!!! Thank you for sharing your heart and great testimony with others. It sure has lifted my Spirit up! We had a beautiful yellow eniglish lab we had gotten at a rescue going on 12 years now in April. He was a year old when we had gotten him and he was just filled with joy and loved life.He loved playing ball so much. His best friend was a Golden Retrever which we still have now at the age of 10and a half.He loved his family and we loved him so much. And we still do in our hearts and minds. He was 11and a half when he passed on.Last Labor day week end. 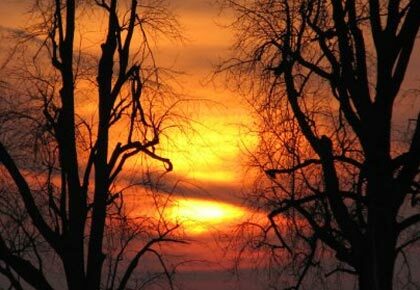 The night he had died I had a dream that he was standing beside me in an opened field. He was young again and doing what he loved best. He was running and running around and came to stand beside me as if to say I’m not hurting anymore I am free of pain. Then he left and ran away happy and then I woke up. I know God was showing me he is okay in Heaven with him and I don’t have to be sad anymore. But I sure do miss him and always will. That’s beautiful Mayme! I’ve had similar experiences and know many others who have as well. I agree with you, I believe they’re letting us know they’re alright… Still, it’s always hard to say goodbye. I’m so sorry for your loss, I am happy to hear that this lifted your spirits! about 8 years ago I lost my favorite dog Kona to cancer. I was heart broken. Every night and day after she was put down I would pray to God that he would bring her back to me, i wanted to thank you because what you wrote made me feel better about her. I’m so sorry for your loss… 🙁 Glad you were able to find some comfort in reading this. Thank you so much for this post. It has only been a little over a week since we lost our Charlie & the sadness we feel is overwhelming. He was only 7 & within the past month or so became ill. After many visits to the vet, it was determined that he had cancer. 3 weeks later he passed away. Luckily, my husband and I were with him and he was home when he left us. The house feels so empty without him. My 3 kids (ages 1-5) talk about him constantly still and have alot of questions. Thank you for telling about the book by Mr.Rogers. I will definitely get that because some of their questions are difficult for me to answer. I miss my boy so much but I remind myself daily that he is not in pain anymore. God is good always & He loved my family so much that He gave Charlie to us even if it was only for a short time. I have done a lot of research on this because my cat, Moses died about 5 days ago and I have been heartbroken. I prayed, and searched through the scriptures about this. One of the things God told me is, He never said He would make “all new things”, He said He would make “all things new”. In other words, the First Dominion will be restored to its original state. The animals will be restored. The whole brute creation will then, undoubtedly, be restored, not only to the vigor, strength, and swiftness which they had at their creation, but to a far higher degree of each than they ever enjoyed. Do not these words plainly imply a resurrection of the bodies which have died, been dissolved, or turned to dust? And is not the brute creation principally intended here? Only on the wind is my saddest thought today charly our CHOC lab died with me and my wife. She saved him from a shelter due to be put down with in hours thats when charly was like he was thankfull everyday for that and gave us more love attention and out right peace of mind everyday. Will Brandy two years old now was his best friend she kissed him on the face ears played hard with him till the end, best of friends now shes going out finding the spots he layed dying to get his scent.As the sun set on the following day she sparked up as to play as everyday ran out to the back yard looked and now ,as the breeze blows her ears slightly back smell the air for his scent and every noise in the house in a another room is smelled and explored. Thank you for your posting some hope! We lost our precious Belquest chocolate lab, Babe (for Babe Ruth), to cancer over 2 years ago at the much too young age of 7. The pain is still there, although we have 2 champion Lokavi Beagles who are also precious little ones. But there is nothing like a Lab. 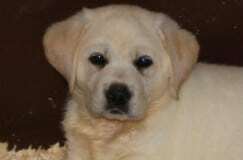 Although we are getting on in age, we are thinking of getting another lab. Love your website and the wonderful photos. My mother lives Bushkill PA and we are in Melbourne Beach, Florida. After Babe died, we felt his presence visiting us to comfort us. Both my husband and I both experienced it on the same day, so we believe it to be real. We hope to meet up with him again in heaven, if we can be as good and loving as our wonderful Babe. His predecessor, Rip, lived to be 13. Another wonderful Belquest Labrador, and a true gentleman. We are very tempted to get another lab to join our Beagles JJ and Jillie and our Eclectus Parrot Finbar. We saw the notification of the upcoming litter due around Christmas. We will keep that in mind. Do you think any will be available? Your dogs are beautiful! How hard is this for me right now. We had to put our 8 year old Labrador Abby down this evening. There are no words to describe the terrible ache and emptiness I am feeling right now. We fully expected to have many more years with our big girl. There are so few things that have affected me so as the loss of my dog. I took for granted the fact that you greeted me at the door every single day with various ropeys, and how you always managed to end up on my lap no matter how many times I told you that you were just too big. My big goofy lab. You were so much more that a dog to us. You were a sibling to your brother and sister. You were just another child to your mommy and I. You would talk back when you were in a mood and you always knew how to make us smile. I will always hold a special place in my heart for you. You were a special dog. I love you always. We lost George May 31st and just lost our Gracie July 31st and we are totally devastated. They were our children and I’m sitting in this empty house now and I there is no shadow following me because the sun isn’t shinning here anymore. This was a great article and I know my babies are in heaven, they are waiting for me to bring them more tennis balls. I think in the spring we will consider getting another if my heart has healed by then. Thanks. We got our Cody, a beautiful black lab boy from Endless Mtns. back in May of 2012. We lost our Bailey, a beautiful black lab girl, in March of 2012 at the age of 11 1/2 (we had gotten her from a different breeder). I always knew I would take it especially hard when Bailey died, she was my fur child. Even though we had children, they were grown and we doted so much on Bailey. When we lost her, I felt that a piece of my heart was ripped from me…as many of you have written here, the house held the loudest silence I had ever heard…nothing seemed right because she was no longer a part of our family. It hurt so bad, I needed another dog to fill the emptiness. We had been on the Endless Mtn. site before. It seemed llike such a caring place with truly caring people. 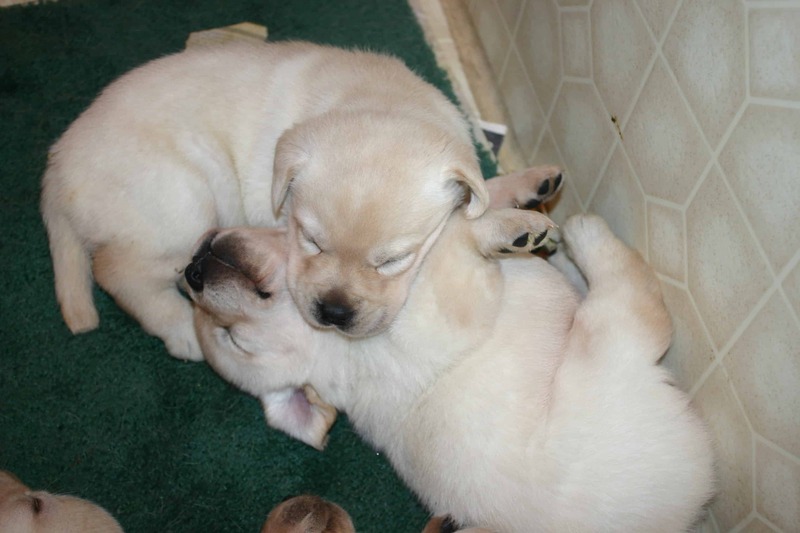 It brought us comfort to look at the pictures of the sweet labs. We decided to get another black lab, only a male this time. As I mentioned above, we chose Cody and brought him home in May of 2012, just barely 7 weeks after Bailey passed. Cody has helped mend our hearts tremendously. He is like Bailey in some ways, yet so different from her in others! He is he; she was she. We will never replace Bailey, but our hearts have healed so much from bringing Cody into our lives. I know it’s not right for everyone, some people need to put a lot of time between the time they lose a dog and the time when they allow another into their lives. But we are so grateful for Endless Mtn.and Cody…it was our therapy. I can tell that my heart still hasn’t stopped hurting for Bailey…it’s been a year and a half since we lost her and I cried like a baby reading all of these stories of loss. It will probably be with me forever, but having the love of Cody will help ease the loss and the pain. And someday, we will all be reunited at that big dogpark in the sky…and I’m sure Bailey and Cody will be good buddies! Bless everyone who has lost a beloved animal!! Thank you so much for your letter. We are believers, too! 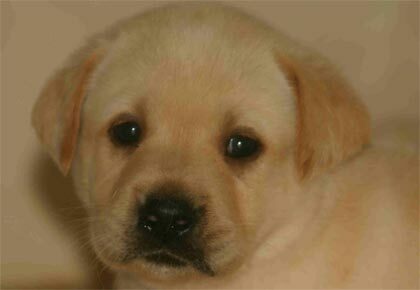 We lost our yellow lab, Clancy, at the age of 10 1/2 and started raising labs for one of the Guide Dog Foundations. After a few years, we found this too difficult and had to give it up. Now we are a little too old……the poor dog would probably outlive us! By the way, we actually know several nuns and priests who definitely believe there is a heaven for dogs. Perhaps sometime you could reference your readers to “The Rainbow Bridge”. I’m sure you are familiar with it. It has brought us and many others great comfort. And then, side-by-side, they cross over… together. © 1998 Steve and Diane Bodofsky. All Rights Reserved. God Bless you, what a wonderful article! I recently had to put down two wonderful companions last month. Max was 16 and Avery was 10. Max was an old boy that we had decided it was time to let him go. Avery was his doggy sister that we worried would have a hard time with his loss. However as a family we were looking forward to spending some one on one time with our girl because her whole life had been lived as a companion to Max. The morning after we put Max down we spent the day with Avery taking her for a walk at her and Max’s favorite nature trail. Unexpectedly she began having seizures that evening and we had to make the heartbreaking decision to put her down the very next morning. It was awful and incredibly hard to feel the intensity of both losses and within in such a short time frame. For the next few days I really wrestled with God asking why He took Avery when we just lost Max. And particularly making the decision to put both dogs down left me with that question of what now? And will I ever see those 2 precious animals again? And even in the midst of my confusion and anger God is an amazing Father who comforts us and I found comfort in His word. I too also found passages in scripture and other articles that mention animals in the new heaven and new earth. It is not a definitive answer, God only knows if we will see our animals again but I do know that God is in control and I can take all my hurts to Him. Again thank you for writing this article. It has given me another level of comfort and healing in this process of loss. I’m SO sorry for both of your losses…. how heartbreaking! 🙁 I’m so glad you were able to find comfort in reading this. I lost the love of my life 3/18/2013 I know she was getting old but, I thought i had a nother year with her she died one weeek after fourteenth birthday I was there when she took her last breath that was the hardest thing i have ever done in my whole life. As time goes on it seems that it gets harder with out her she was my rock my protertor and my best freind I pray to god everday to help me heal and to love another like that again she was the most beatifulll and loving english bred lab I have ever had. 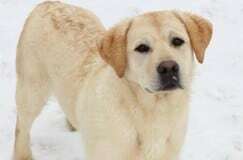 P. S. now my yellow lab is getting old and she look for sister freind everyday they grow up togather and Sidney taught her everting. Thank you, for the article it helped some but, I still miss her so much! All of your stories have touched my heart and have brought me to tears. We lost our son Primetime on July 27th of this year. He had celebrated his 15th birthday in early July, we had two different parties for him. Primetime was a beautiful loving soul that made everyone smile, everyone felt his love. The cats loved him, my Father, who did not care for dogs, loved him, he was irresistible, his goodness was felt. My Mother-in law recently broke down thinking of him. He was our family, he loved us unselfishly and we’ll forever have him in our hearts. Primetime’s big dark brown eyes (my Mother called them olives) were windows into his soul and I miss looking into them; I miss having him here to comfort and love me. He loved carrying and suckling on his babies(stuffed animals), which I still have laying in his corner. I miss all of the hamsters he would leave around the home, that’s what my sister in-law called his hair balls when I would not vacuum for a couple of days, I miss how this gentle soul would snap like a piranha if you attempted to give him food from your hand, he loved food! I miss him begging for food, he knew he wasn’t supposed to beg, when you’d look his way, he would turn his head as if he was not looking at you eat! Oh, how I miss those days. Primetime knew if we were going on a road trip, he’d be by the garage door waiting to hop into the car, he would also let you know when he was ready to leave Grandma’s house to come home, so intelligent. He ALWAYS waited on me to go to bed and would wait patiently for me to get up in the morning, he was my shadow. I miss everything about our gentle big guy. Although, I knew he was going to heaven, it was and is hard, so very hard to live without him and to carry on. For the past few months, there have been endless nights of reading posts, researching his pedigree, learning more about Labradors than i ever knew, reading cards from family and friends, having their unconditional support and listening to a dear friend tell me to let Primetime go in peace. May said he could not rest if he was too concerned of my well-being. Knowing Primetime, I believed this to be true, he would be concerned. I came to the realization that all he ever wanted was to be happy, happy was all he was and would ever be and I had to be the same for him. This has brought peace to my heart and has helped me to heal, I’m trying my best to make him proud now. I’m happy to have shared many years with him. I’ve always believed in God and I was given confirmation of his love the day Primetime went to heaven. I did not want to put him down, I wasn’t sure if it was the right decision, I was confused and had pressure from others that it was the right thing to do for him. I was fortunate enough to be with him on his last day on earth, he took his last breath naturally after reaching his eyes over to meet mine. This happen before the 30-minute late vet arrived to euthanize him. I’ll always feel that Primetime and God were giving me the peace of mind that I NEEDED. I’ll have to post the full story one day. I’ll never forget my son Primetime, I was blessed to have been loved for the past 15 years by one of God’s creations. He’ll always be remembered by all he touched. Thank you, I thank all of you for giving me the courage to share a little about my sweet boy, he was a beautiful English Lab. I know I’m not alone, it feels good to know that others feel as I do; we feel that our pets are our lives and when they’re gone, our homes are empty and a piece of our soul is gone, too. I look forward to filling my home and soul with the love of another Labrador again, soon! Yesterday we had to put down our sweet 12y/o English Lab MaryKate. A shock because even though she had begun some kidney failure and we were dealing with incontinence, she still was bright eyed, had a good appetite (special food for her condition) and was anxious for her walk in the morning. I thought we would have some more time with her but then the day before she stopped eating and wouldn’t get up…we slept on the floor with her through the night hoping she would just close her eyes and go to sleep but that was not to be….we called the mobile vet to arrange for him to come and take care of her but again, bad news, they don’t work on Wednesdays, so the thing we fear the most was taking her into town to the vet…the place she hated the most, to be put down. What a nightmare. The drive to town listening to her breathe and looking at her lovely eyes and then driving home with her in total silence…agony. We have lost other dogs but more naturally…having to make the decision to end someone’s life and play God is not something I would choose and am having a hard tine dealing with it. We still have our beautiful 7 y/o English Lab Gunnar and would love a new pup but I don’t know if I can go through the loss. I’m SO sorry for your loss, Rebecca… 🙁 She is in complete peace now! 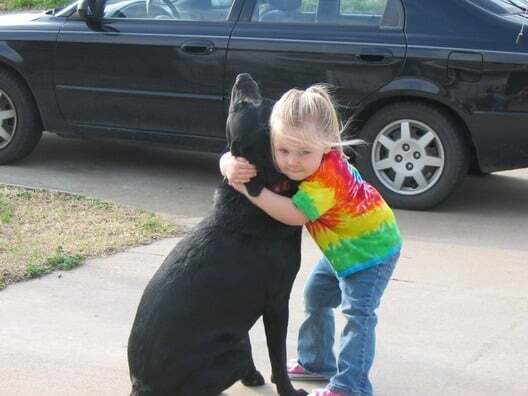 You did right by your girl, no guilt… Hugs to you! We lost our beloved yellow lab Chester on the 22nd of October. We are heartbroken by his passing. He truly was an amazing animal and a very loyal companion who will forever live in our hearts. He has left a huge void in our home but many fond and often funny memories (like when he ate everything in the bread drawer! including wrappers…) we miss you! Chester. Just had to put my baby Joe to sleep on 11/4/2013. Our hearts are broken. He was part of our life for almost 15 years but his age and his problems just became too much for him. We are at a lose without him. He was the love of mine and my husbands life. Thank you for your article. Some day soon I hope to have a new baby not to replace Joe but to give more love to another Lab. What a beautiful article. I just lost my beloved Black Lab a few weeks ago. I miss him terribly and I believe he is in Heaven. Animals are without sin, so why wouldn’t God want them back. Knowing that he is in Heaven makes losing him a little less painful. He was the best dog in the world. He was awesome with my kids, their friends and our other critters. He would sit outside with the guinea pigs to keep them safe while they ate grass and he let our little conure eat from his bowl and land on him without batting an eye. He was truly a gem. I know he would want me to have another dog because he especially loved other dogs. It was funny because he seemed to be able to recognize other labs. I can’t wait to get my new puppy in January becaue I know Sammy would approve and would not want me to be sad all the time. Hugs to everyone who has lost a pet! I mean because, not becaue. Thank you so much for this wonderful story. My husband and I recently had to say goodbye to our beautiful black lab, Molly, at the tender age of 11. She had been diagnosed with tumors on her spleen. We opted to not put her through any surgeries, etc. We wanted her to live her life – though we didn’t think that it would only be for a few more weeks. We did not want her to suffer in any way – and when she stopped eating, we knew we had to let her go. I truly believe that God loves all his creations and I know that I will see Molly again some day. Thank you again for your story – and thank you to all the people who have commented. It is comforting to also read their stories, too. I dont know if anone will ever read this, I think I am writing to help my heart heal. On Jan 3, 2014 God came to call our Addiegirl home. She was the first dog my husand and I had after the kids grew up and moved out. She was totally ours. Addie was an English setter, she was 10 years old and died from ruptured tumors in her spleen and liver. We took her to he vet in November for a checkup and the vet determined she was getting older andwe may need to build her some accomidations such as a raminto the car and camper as she wasn’t able to jump safely without hurting herself. On the morning of January 3, my husband let her outside to go potty, and when she came n she was just staring at the floor, and wouldn’t move. We soothed her and then she started licking my face. We left immeditely for the vet. The staff took her in the back and said the Dr. would see her as soon as she came in. The Dr. called us about 9:00 am and told us she would need to run tests to be sure of what was ailing her. at 9:30 the Doctor called us back and gave us the bad news, that our beloved girl had Spleen and Liver Hemangiosarcoma. The vet advised us the spleen had ruptured and she wa bleeding internally. The vet told us she was not in pain at the moment and she would wait for us so we could be with her as she passed on. Five minutes later the vet called us back and said e had gone into cardiac arrest. she laid addie to rest and they gave us a private room where we could hold her and grieve. We held her in our arms, and we were crying so hard we couldn’t see. I reached up to my husbands face and with his tears I made the sign of the cross on her head. We took Addie home. My husband called a neighbor down the road and told him wat had happened and he came down with his backho and dug a 5 foot hole, well below the frost line. We placed addie’s bed, and her babydoll, we place her wrapped in her quilt on her bed. We said prayers and I left as I coud not waatch the final part. She was my love, my happiness, she was part of evey good thing that happened to us. I couldn’t dare have anotherdog to take her place. No one could. We decided on a female lab, a completely different dog in breed, color. I don’t ever want a dog to feel they live in someones shadow. We love Labs and always have, but when the opportunity came up to adopt Addie, we took it. I know my heart can love again, Addie taught me that. Theres always room for love because it’s elastic and will stretch as far as it needs to. Tucker used to shed like no other. His chocolate sister Molly hardly shed at all in comparison, but I used to find white dog hairs on everything, everywhere until he left . . . I came home from the vet that day and took Molly for a walk on the trail behind our yard. She knew he was dying before I did I’m sure . . . we grieved together. They had been inseparable from birth. When we returned from our walk that morning, there were white feathers like breadcrumbs leading us back to the house. I noticed it but didn’t think too much of it. The next day my newlywed husband Wayne and I began a house-hunting expedition (which was really tough because I was in a grief fog), but we had set appointments with our realtor ahead of time so decided to look anyway. The first two properties we looked at were nice, but when we arrived at the property we were most hopeful about, a white feather blew in through the car window. At the time I just thought that was interesting and it made me miss Tucker (like the sunshine and the wind and everything he loved) . . . As we walked through the house, I noticed three more white feathers . . . and then we walked the 20-acre forested property . . . and, you guessed it, more white feathers at a gorgeous spot we hiked up to near the back of the property–a vista that literally looks out over the Angel Fire valley and my husband said, “This will be Tucker Point!” And it is. Over that first year I collected heart shaped rocks from all over our property and the Tucker shrine has grown. We put his ashes there on Thanksgiving 2012 and the following June we added Molly’s too. There is a baby pine tree where their ashes lay, and I added heart-shaped Christmas ornaments to it in 2013, and the feathers just keep showing up . . .
Tucker taught me to wake up wagging and he seemed to say, “Oh boy, another day!” I am so thankful that Molly was able to share this amazing place, where we have elk and mule deer and bears, bobcats, soaring golden eagles, occasional bald eagles, ravens, stellar jays, chickadees, etc. When I spread Tucker’s ashes under the baby pine tree Molly smelled them as if she picked up a familiar scent. She seemed to know. She used to walk up there with me to place more heart rocks. Now they are together and the entire Molly & Tucker shrine has grown into the shape of a very large heart, full of heart-shaped rocks and full of love. I will keep them with me always. Well, here I am crying again. Each and every post clearly expresses the void felt after losing “Mans best friend”. In all sizes, shapes, colors and each with a special “something” all their own that just takes our hearts. Thank you for the encouraging words of hope and heaven. I just wish our loved ones would do a drive by more often as it get’s lonely on earth when many have passed and it is too quiet and no one right there to understand the moment. They say, “Good things come to those who wait” so I will enjoy the memories and wait for that next perfect pet. Thanks to all posts shared as well. On April 6, 2001, our family brought home our Black Lab. He quickly took the name Jett Blakk. It was ironic that he joined our home, when you consider we went with the intent to purchase a chocolate female. He I quickly took over our home and our hearts. My father in law commented many times that he thought the dog was extraordinary. Coming from a man who showed Brittany Spanials for many years. Jett traveled with the family on vacations, enjoyed boating on the lake and enjoyed camping. For a lab, he was never the most talented swimmer. One after noon, he jumped off the back of our boat while moored in a cove. I thought he was going to drown! Over all, he was a healthy dog, even though he did tear his ACL in his left hind leg, requiring surgery. The vet had placed one of those huge plastic collars to prevent him from chewing the stitches. I left it laying on the floor at the vets office. He never touched his stitches. Early during his recovery, he would attempt to stand up from his bed. He would look at me and give a very low whine. That was my clue to pick him up and take him outside to take care of business. Not once during his recovery did he make a mess in the house. He loved Christmas as much as any kid ever did. He would sit and wait patiently for his turn to open a present. As my wife would hand me his gift, he would move in closer to me. Gently, he would muzzle the end of the wrapper, until he could reach and and grab his latest ‘baby’. He never destroyed or ate his babies. And he was never more than a foot or two away from one. He carried one of them with him everywhere. But like any child, he had his favorites. As he aged, he got grey in the muzzle, and then grey in the feet and finally, grey laced through his body. He moved a little slower and slept a little longer. But he always was close at hand, always had time for a chin on the knee and still would lay very still as I scratched his ears and face while laying beside him. He left our world on April 6,2014, exactly 13years after we brought home home. I will never think of 13 as an unlucky number. Our family has been extremely lucky to have him for 13 years! CJ and I rescued each other when he was a year old. He was a very high strung and damaged yellow lab. He wanted no human contact at all. It took a long time for us to come to an understanding. I am in a very unique position in that I live on a cranberry marsh so he was able to come to work with me every day and all my coworkers and the previous owners are all dog lovers. Over time he came to know that people did really love him and cared for him. CJ touched a place in my heart that no person ever has and taught me so many things about life and love. I had to make the gut wrenching decision to have him put down Sept.2013. Not a day goes by I don’t think of that old boy. I still look for him from time to time but he isn’t there. He will always be in my heart and soul and I think he would want me to find another four legged pal to help me through this life. I love you CJ. See you on the other side buddy! We just lost our 9 year old black male, His name was Sampson, but we called him Sam, Sambino, Sammy, we got him when my son was 4 and they were unseparable. Everyday when Jaxson got off the bus, Sam would be waiting for him at the end of the yard and walk him to the house. He loved a tennis ball, playing with my son and his friends in the lake, riding on the boat, whatever we wanted to do, Sam was right there too. You could just say “LAKE” and he would go wait at the truck to be put in the back seat to go. Everything reminds us of him, his bark, his presence, this is such a whole in our hearts. My lil boy asks,”Mama, with so many unwanted and uncared for dogs in the world, why did Sampson have to go”. I just said, Maybe God had some kids that needed a dog to play ball and go swimming with in Heaven”. Ive always said, Dogs are Gods favorite because dog is God spelled backwards!!!! I lost my girl sissy her and her brother ran past me out the front door one night and I couldn’t stop them as they are both very strongdogs. The boy came back the next day but my girl my heart was still missing. I looked for her for 6 days she was so beatuiful I just knew someone had her. My friend actually found her a few blocks from my home she had been hit by a car and was gone. This dog was my heart I had her since she was 3 months old she was 8. I just could’t understand why God would take my gilr from me about 4 years ago I had to put down my other lab tyson he was 14 and like others I have read he stopped eating an I knew it was time. I had been advised by a friend to get sissy since tyson was gettin older. Tyson’s passing was horrible as i took him to the vet and they couldn’t find a vein and had to shave his paws then the asst. raised him up and he moan and I ran out of the room never to see my boy again far from being peaceful. Sissy was healthy and had only been out of the yard off a least twice so she didn’t know any better than to run out in front of cars and would have been way to head strong not to anyway. This sweety as a puppy chewed up every piece of furniture in my house down to the wood but as she got older she was so sweet and could be in a dead sleep but if I moved she moved I am devastated and I blame myself but I do believe she is with her brother in heaven. My boy dog was a rescue and had been hit by a truck so he knew better than to run out i front of one. I too have cried throughout reading all of these but I still feel better God Bless to you all! Those words you said were tears to my eyes, not because I’ve lost a loved one and my dog but to reassure me that god will always be there no matter what. It feels good to know the word of god and I will start reading the book of proverbs like you said i want to feel that wisdom that love god has for me. Once again thank you for those kind words god bless yourself and your family, take care. Just wanted to thank you for the blog. We just put our sweet boy Max down this morning due to cancer. He was only 6 and is the second dog we have lost this year alone. Both my husband and I are terribly upset but our 21 year old son has downs syndrome and it is especially hard for him to accept. In addition to Max’s passing, my sister in- law was in a horrific accident on the 12th, severed her spine and is paralyzed. She will require a ventilator and 24/7 care for the remainder of her life. She is only 46. Max was my niece’s favorite. My 78 year old father is also having issue and was placed in a nursing home. I was raised Catholic and have a strong faith but I have to say that it has been a very difficult week for me. While looking for lab puppies (know its too soon right now but it is therapeutic) I found your site and was drawn right in to your story. It made me cry again but truly lifted me up spiritually and I really appreciate it. I think God’s hand is in everything that happens and I am constantly amazed that we receive exactly what we need when we need it. God bless you and your family. We just lost our chocolate lab named Mac. She was with us for 14 years and was simply the best dog ever! She was our first family pet and meant so much to all of us. Now it is as if an empty space is in our lives. Having never had a pet growing up I never knew what I was missing and now can’t imagine my life without her. She was so easy as a puppy, trained me in how to handle her :), and was such a part of my day to day life it is so empty now. I love looking at your website, seeing the photos of your beautiful dogs and reading the stories of them. It helps in healing. Thank you so much for your words and references to scripture passages that speak of our animals, and companions. I believe, as you do, that we will be with our furry family members again some day. Just 3 weeks ago, my sweet furry boy, Casey died. He was 13 years old, and he was adopted when he was just 6 weeks old. He was my buddy, my walking companion, my “little guy”, my 3rd child. He put a smile on my face, just by looking at him. I love him dearly. 1 week prior to his death, he started really having problems with his back legs. About 3-4 days after, he couldn’t use his back legs without assistance. He stopped eating and drank very little. One of us was with him every hour of the day until his death. A very wonderful and caring vet came to our home, and helped relieve him of his aging and arthritic body. It was so peaceful. I know he was ready, even if I wasn’t. I did not want him to suffer. I love all of the pictures of the beautiful labs that you post on your site. I have had two labs and they are the most amazing loving and kind dogs. I had to put Buddy down a few weeks ago and I am still grieving for him. I had him for 12 years and although he started out as my son’s companion, in the end he was my dog. I loved him as surely as I did one of my kids. The loss has been very hard. I can tell from all the posts that this is not unusual for me to be feeling and I can empathize with anyone who has lost their beloved companion. I know he will be waiting for me some day, but I sure do miss him. Our hearts broke today when we choose to end our beloved 14 yr old female yellow lab Tundra.. She was diagnosed with breast cancer may 2014 and she also had many other health issues. Because of the other health issues the doctor was not sure if she would of survived surgery, so we choose to let her symptoms tell us when it was time to say good bye to her. This last month she started displaying more problems and we started talking about when we should make that phone call to the vet. We choose a day about a week out and thought we would all (my husband, and three children 14, 19, 21 yrs) be ready for this but we were not but we stuck to the day we planned on. The days leading up to this, we spoiled Tundra to the core. Bought double plain hamburgers, largest bag of bacon treats, pepperoni treats, cooked up some hamburger meat and put it on a plate of rice, gave her pretty much whatever she wanted and lots and lots of LOVE and KISSES and THANK YOUS for being our familys best friend and companion when our days were bad, sad or anything in=between . She greeted us almost everyday at the door with a toy in her mouth, even at the end! She didn’t act like she was in a lot of pain but dogs don’t bother you with their problems until it’s very bad. We were brought her the clinic, we made sure we brought her bed, so she would be comfortable, a bowl of water, more hamburgers and those pepperoni treats she really liked. The clinic staff gave us plenty of time before they gave her the injection to say our goodbyes to our beloved Tundra. We named her Tundra because we bought her in Alaska and her coat was more white than a typical yellow lab color, she also had a mostly pink nose. At one point before she went to sleep for the last time, she looked at me so intently with those beautiful eyes as if to say it’s ok and thank you for being a kind human and I love you also! I was the first to see her when we received her into our lives and I was the last. Our entire family grieved as she passed on and when we arrived home our house was not the same. Our house was not a home any longer, it no longer had the energy of our lost family member. It was so quite, our hearts heavy with grief. I know there is a heaven and our Tundra is there, waiting for us. Thinking about this today, I googled; Real testimonies, do dogs go to heaven? and several posts I came across that one in particular really touched me. A woman by the name of Jan Price, had a heart attack and was gone for 4 minutes and in that time she had left her physical body but was in her spiritual body. She came upon these wonderful brilliant colors that she had never seen on earth. She had passed several different zones of colors and then at the end she was greeted not by any human form but her dog Maggie that had passed the month before. Maggie was not an old dog but a youthful one. Maggie took her on a journey around where Maggie lives, plays and hangs out. Maggie actually had a home that had items that Maggie had in the many different homes her family stayed at. From a fireplace to book on a shelf, to soft couch. Maggie told Jan that she is no longer in pain…by the way our pets can communicate to us when we pass on in language we can understand. So, Maggie and Jan had several conversations during this 4 mins but in Heaven 4 mins is (I can’t remember the time difference.) many, many years in Heaven time. Tundra, I can’t wait to see you soon and have several conversations with you! You will be MISSED AND LOVED FOREVER! LOVE YOUR MOM, DAD, MATTHEW, MELISSA AND MICHAEL. God is taking care of you until we can meet again! Thank you so much for this post! In 2007 we lost our chocolate lab Greta ( Booney’s sassy girl Greta). I was bereft and heartbroken. I didn’t know what to do with myself. By chance, I met someone from a labrador rescue league in PA. He had beento an adoption event and in his vehicle, he had a dog that didn’t get adopted that day. She was the “leftover”. Four years old rescued by the league the day before she was to be euthanized, Lucy was a beautiful yellow lab who was sad in her soul. She had given up. She curled into the corner of her crate. She looked like I felt. WhenI reached to pet her she trembled. I took her home with me that night and never looked back. It took her a year with us to get that lab sassiness back and let her sweet stubborness show through. She rescued us too. We had her for sevenwonderful years. She passed over the rainbow bridge two days ago. She had the softest fur of any dog I have known. Her coat had beautiful golden glints in it. I know I will see her and Greta again, but today I just keep looking for her. There should be a disclaimer at the beginning of this that warns the reader to grab a box of tissues… The way that you wove the Love of God into this is just beautiful! never forget that day and what God said to me. On November 22nd, 2014 our beloved lab “Shadow” went on her journey to heaven, and the loss of her was agonizing. She was my constant companion, my right hand girl. The very next night my husband had a dream, and in that dream he saw Shadow with an entire pack of dogs. I knew that God was right there with me, and Shadow was right there with HIM. Just yesterday, Feb 16, 2015 we had to say goodbye to GUS our beautiful, loving Yellow Lab. He was 8.5 years old. On Saturday, Feb 14, I took GUS and his adoptive brother ZEUS (black Lab) for a winter’s day walk, and then played with them with their tennis ball later that evening. GUS was showing no signs of any health issues. Then on Sunday morning he stumbles out of his crate which is next to our bed. As we made our way down our hallway GUS was staggering and had a very unsteady walk. He was also tilting his head to the left. We called our vet and decided to monitor is activity throughout the day. As evening came on GUS was getting worse so our vet advised us to get him to Akron Metro Veterinary Hospital. We left him overnight so they could perform examinations the next day. On Monday he was having an MRI to see if he had had a stroke or a bad inner ear infection. But the call came to us that GUS had an inoperable brain tumor. We never had a clue. He never exhibited any signs. So regretfully and with great pain we released GUS back to the Lord…his Creator. The pain is simply unbearable. GUS is not our first Lab that we’ve had to say goodbye to, but he was the most special Lab that we’ve ever owned. His bouncy gait; a tail that never stopped wagging; and his beautiful temperment captivated everyone who ever met him. He always greeted us at the door with a ball, bone, sock or whatever he could bring us. I just don’t know how we’ll get through this loss except with the grace and mercy of God. My hope is that we will see him and our other Lab’s again when we enter eternal life in God’s Kingdom. Without hope we have nothing left! Our story of GUS brings honor to him, and sharing our stories helps to ease the pain. We thank God for some very close dog-loving friends for their prayers, comfort, support and encouragement during this most difficult time. We LOVE YOU GUS and miss you terribly. We will always carry your memory in our hearts! P.S. Thanks Donna for providing this forum for all of us to share our grief and loss with each other. 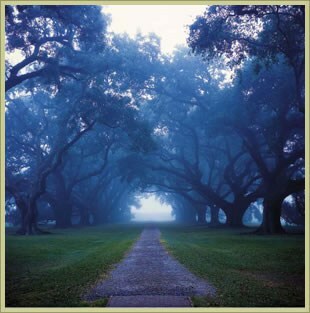 There is a road to healing and restoration when we can support and comfort one another during these very difficult times. into our family. He had been prayed over long before he was even conceived and often through his life. answered our many prayers for him in amazing ways that would fill volumes. the hardest thing we ever had to do. He has been gone for over 2 years now my heart still feels his absence. the more you give it away, the more you have to give. When we lost Bosco, I wrote this poem. It says it all. Thank you so much for telling me about this .It really helps, especially this week trying to remember Dexter isn’t around anymore. I seem to keep, for just seconds at a time, forgetting he’s gone and thinking I need to go check on him. But I know he isn’t hurting anymore and know maybe someday ill get to see him again. Either way he isn’t suffering. So thank you again so much for this. <3 I can't tell you how much I needed to hear a lot of the points you talked about. and placed it by her bowl…it said “Missy I will miss you…Love Riley”. I just started watching your YouTube videos. After watching several of them, I’m now checking out your website. Now I’m reading this. And it does not surprise me that you are a follower of Christ. There’s something about your faith that shows up in your videos. About 11 months ago we lost our Golden Retriever, Buster. Heart wrenching doesn’t even begin to describe our feelings. The loss was immense. I felt that writing down my feelings in the form of a blog helped me deal with the loss. Now, almost one year later, we’re about to get two new Black Labradors. Thank you for all the great info you’re sharing in your videos and here on your website. We’ll be coming back, watching and reading a lot more. My husband and I just put our Chocolate Lab Ceili Mae to sleep and I am pacing the floor in emptiness and a dark void surrounds me, I miss her very much and reading the losses of others gives me a feeling of togetherness. Ceili Mae was 11 years old and she had kidney failure and wouldn’t eat but drank a lot of water. I hand fed her and her back legs got weak, in one week she couldn’t put her weight on her back legs, we went to the vet and he said there was nothing he could do. I,ve been searching for my chocolate baby all over Pennsylvania and found this website. I feel the love and Jesus Christ along with everyone here and all who have lost their babies. getting worse. I woke up Thursday morning and he was very short of breath. My husband fed him an XXL stuffed burrito from Taco Bell while I called our vet and he was seen on an emergency basis. The vet thought she could possibly increase his pain medicine and buy him some more time, but I just couldn’t put Hemi through anymore suffering, so we put him to sleep. . I think about it and wish I just had some more tie with him, but that would have been cruel and selfish on my part. His condition was not going to improve. He was having anxiety and beginning to bark a lot. His eyes were getting clouded over and the vet thought he may be having some senility. I couldn’t take him for car rides or anywhere for that matter. He couldn’t go for walks or even go outside to sit on the patio with me outside because of the heat and humidity. I used to tell him how lonely I was going to be when he left me. He’d put his head on my lap to be petted and occasionally put his paw up on my lap. I have an enormous empty spot now. .
We buried Hemi in our back yard near the lake, where he loved to swim and play when he was young and healthy. Hemi loved the water. I just read your article on our pets in heaven. Just want to say I got to your writing at just the right time. It’s been almost 7 weeks now since we lost our lab. The loss has been devastating to both my wife and I. We rescued him when he was 6 and had him for 6 great years. He brought so much joy to not only us but everyone he was involved with. I am a firm believer that our pets do go to heaven and I am working as hard as I can to make sure I make it there to meet him. Thanks so much for your insight and God bless you. Thank you for this. 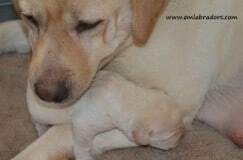 After losing our wonderful yellow Lab Oli in March at the age of 13, we are now feeling like its the right time to get another puppy. I reserved one of your puppies a few days ago after coming across your site, and getting a good feeling about it. And the puppy was born on one of my sons birthday! Seemed meant to be. I have since been looking at your site more closely and came upon this article. As I have been reading other peoples responses I am sobbing remembering Oli, but at the same time comforted by everyone’s words. It also is reminding me that I really felt there was a higher power at work in our last days with him. He had been going lame on a front leg for about a year,progressing to paralysis and we had an intense year of regular acupuncture,laser,etc etc, taking up a lot of my life. He was fine otherwise, strong on 3 legs. But eventually needed to be carried upstairs at night. All 100 lbs of him! I was worried about an upcoming project that really needed a lot of me, and some travel, wondering how we could manage everything. About a month before i was going to get busy, he just couldn’t walk one day. He was just a rag doll. No apparent pain, he was as calm and “there” as could be. The decision was very very hard, but at the same time I had been telling the vet my biggest fear was that he would be in pain at the end. As heartbreaking as it was, he decided when the end would come. I felt in a way he did it for us. I am now thinking I was led to your site for many reasons. I think I am beginning a long relationship with Endless Mountain Labradors. I lost my beautiful, yellow Lab recently and came to this site just to look at these wonderful creatures. We had Sadie for over fourteen years. Fourteen glorious years sharing our lives with this incredible creation. I’m not religious. I’ve read the Bible but I don’t read the Bible. But one doesn’t need to attend a service or worship in a congregation to experience the love, companionship and generosity of spirit in a Lab. The distillation of joy in my Sadie was proof positive of a loving and compassionate God. I see Labs as heaven’s angels. A pack of canine Clarences. Each of them with a mission to show us and awaken within us the wonders of life thru their amazing spirits. Sadie effortlessly performed miracles everyday. She’d take our love, multiply it and return it exponentially. It was her version of multiplying loafs and fish to feed our souls. We establish a mutual bond, an amalgam of acceptance, appreciation and admiration with our dogs that in many ways is a tangible almost concrete illustration of what love is. Yet it may be even deeper. A dog literally reads our body language and knows our scent in ways that are more complex than we can even comprehend. Intuitively we know this because we experience it but our sense of intellectual superiority doesn’t allow us to acknowledge that perhaps our best friend knows us better than we know ourselves. God works in strange ways. Speaks to us, whispers to us in subtle ways. Is it just a coincidence that our dogs know our moods and feelings before even we do? So thank you Lord for sending this angel to us. God, I’ll miss her. My heart is truly broken. But I know, with time, my grief will anneal into gratitude for having been fortunate enough to have shared my life and my family’s lives with this miraculous creation. Then some day, when I’ve come thru my mourning, I’ll adopt another Lab, and tell that dog on long walks and quiet times about the beautiful, yellow, English Lab, Sadie, that I loved so very much and how she earned her wings. 26yrs of experience, and still excelling…we hope you enjoy the new website, but trust you will always experience the same experience of “family”, as is our tradition. Have you recently lost a pet? When should I spay-neuter my puppy? © 2015 Endless Mountain Labradors. Responsive Website by inCommand Technologies.